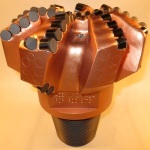 Pop PDC Bits supplies the global drilling markets with superior hybrid (steel and matrix) pdc drill bits as well as the industries top core bits. 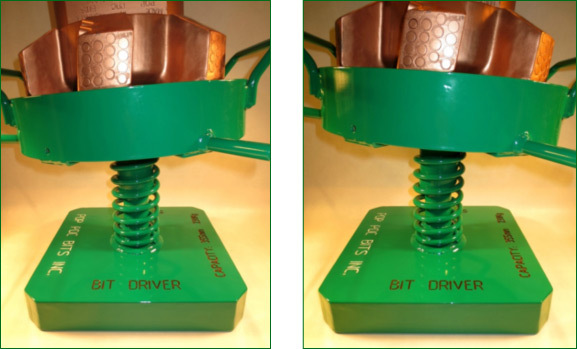 Pop PDC Bits is proud to currently be producing our “Third Generation PDC Bits”, a full line of motor compatible bits. Pop utilizes ISO tested and certified HTSR steel. The products are manufactured utilizing CNC equipment and API / ISO certified gauges. Manufacturing and repairing under one roof has given Pop the opportunity to compare materials, wear patterns and performance. Surrounded by and drawing source information from people with over 30 years experience in drilling has enabled Pop to design drilling products that perform at the highest level.Pop in house developed technology has improved the durability of the steel body Pop drilling products to a point where the steel body surpasses the matrix products. 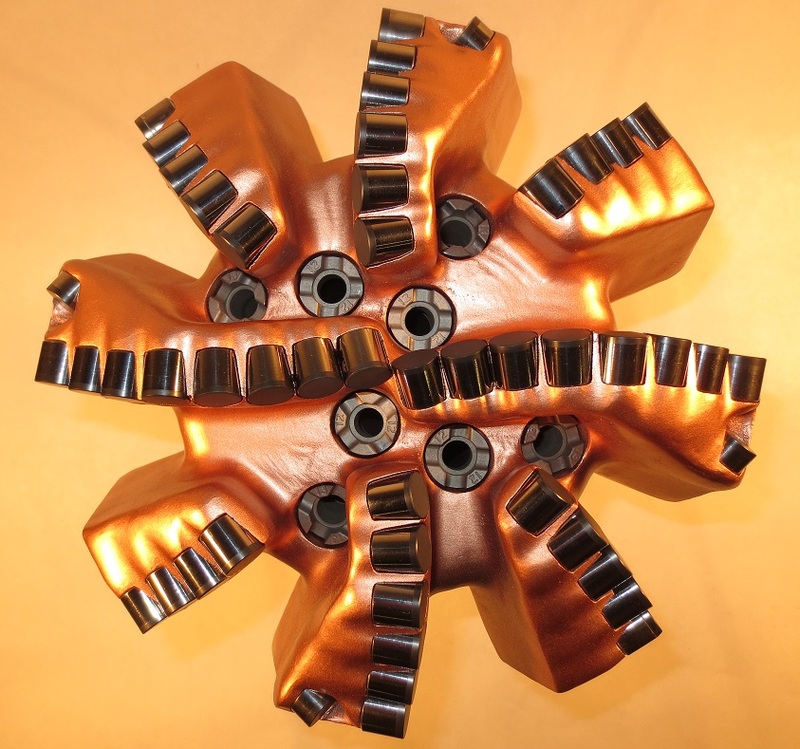 Nozzle placement is oriented to maximize flow efficiencies, increase free flow from the center of the bit to the outside of the bit, resulting in minimum turbulence and increased cleaning.The interior of the bit is opened up to provide a reduced pressure area. Lower pressure minimizes internal washing and allows for lower angle nozzle positioning. 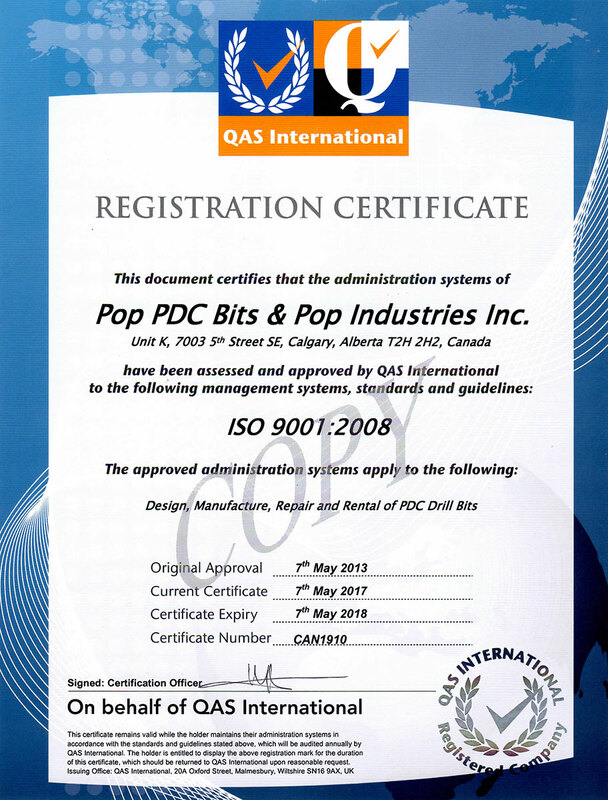 POP bits is constantly improving designs, hard facing technique and using the highest cutter quality as they become available. Pop is consistently testing new hard facing material, cutter size and cutter shapes. Not outsourcing any of their products and their service in quality control makes them a reliable supplier of high quality drilling products. 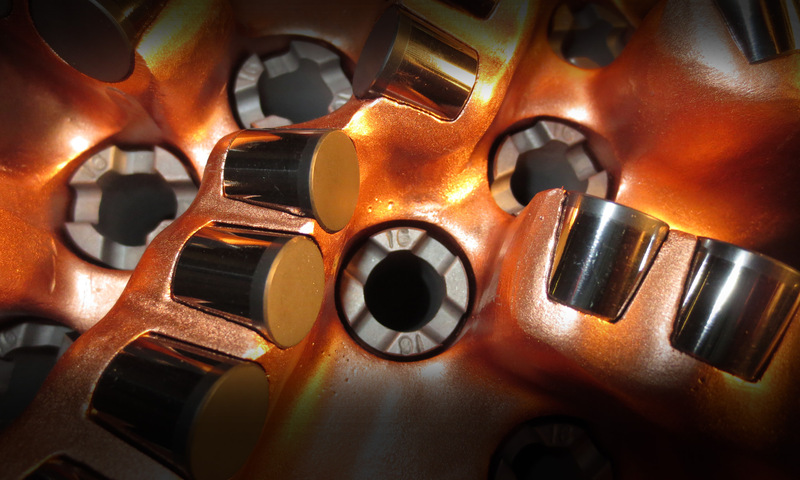 POP bits are manufactured to have optimal performance on a variety of surfaces. 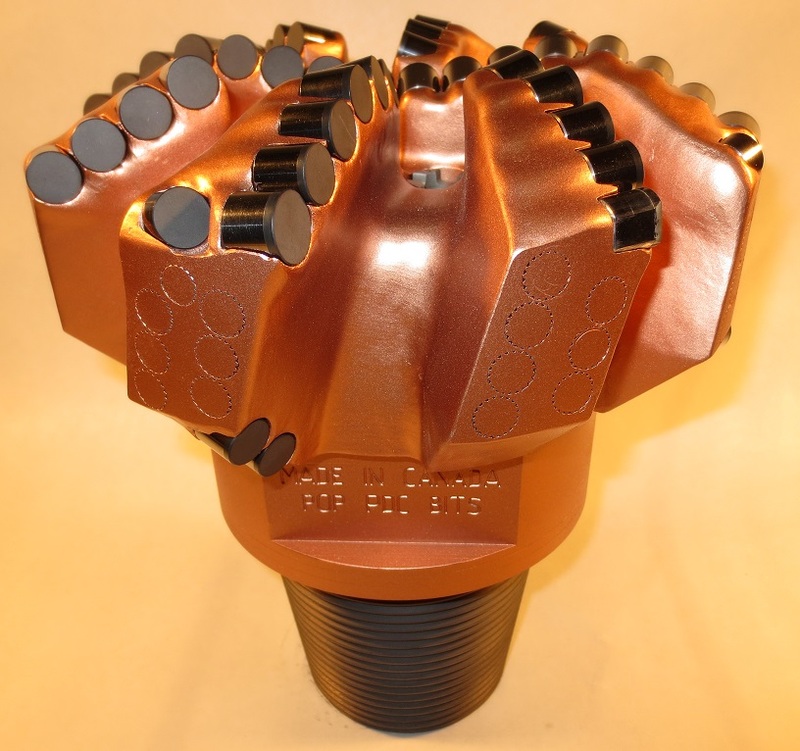 With a large selection of bit types up to 444.5mm (17 ½”), we can cater to all your drilling needs. Specific applications bits, designs available but not posted on the bit chart. full details, contact us for further information. Pop has developed core bits with a patent pending mud barrier that prevents core washing.The new NE (no erosion) series of core bits have been very successfully used in soft formations, oil sands and Potash and perform as well in harder formations. Core contamination is reduced and core recovery is increased. Pop is a leading core bit supplier because of the quality and the life expectancy of the product. 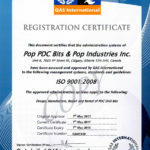 Patent # US 9,404,325 B2 is available at Pop PDC Bits Inc. 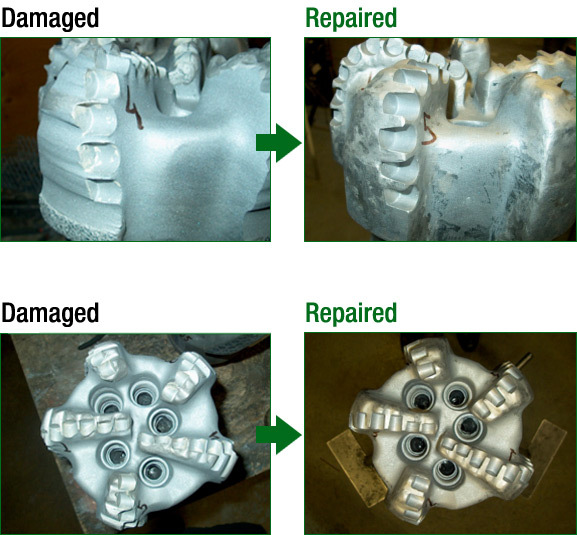 POP Bits has extensive experience in the repair of matrix body PDC and core bits. This has allowed us to develop proprietary hard facing and carbide enhanced matrix materials.This proprietary technology allows Pop Bits to make steel body matrix covered bits that exceed the durability of all matrix bits. Have you been charged for a D.B.R. (damage beyond repair) on a matrix bit? Send a picture to Pop Bits and we can tell you if we can repair it to like new, or in many instances, better than new. Let us save you thousands on your well cost. Enter the sum of 8 + 17	below to prove you are a human.